Is Your Website Mobile-Friendly? Just Ask Google. Google’s opinion of a website’s search engine optimization is crucial to most website owners. And it should be. An attentive and thorough SEO strategy helps Google rank your website for relevance. But among the reasons why Google might reduce your website’s SEO score is that it may not be “mobile-friendly”. With statistics as compelling as these, you’ll want your website to be mobile-friendly. 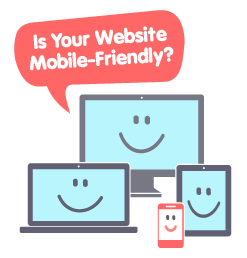 To determine your website’s status with regard to Google’s “mobile-friendly” definition, access the link below and enter your URL. You’ll receive a short analysis of whether or not your website is mobile-friendly and other details about Google tools.